Bill Turnbull is a BBC broadcaster, After-Dinner Speaker and Awards Host. Bill began his career in journalism at Radio Clyde in Scotland, before moving to the USA to work as a freelancer. He joined the BBC as a reporter for ‘Breakfast‘ in 1988, before becoming a correspondent for BBC News. 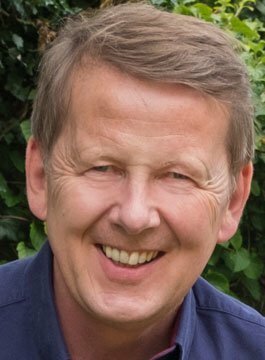 As a correspondent, Bill Turnbull covered a wide range of domestic and international stories, reporting from over thirty countries, including four yours as the BBC’s Washington Correspondent, based in the USA. In this role he reported on a number of major American stories, including the OJ Simpson murder trial and the Monica Lewinsky scandal. In 1997, Bill moved back to the UK to become one of the main presenters on BBC News 24. He also presented regular programmes on Radio Five Live, including a stint as a presenter on Weekend Breakfast. Turnbull eventually joined the BBC Breakfast team in 2001 as one of the programme’s main presenters – a position he held for 15 years. In 2005, Bill was a contestant in the BBC’s prime-time show Strictly Come Dancing, paired with Karen Hardy. The pair performed entertaining routines, and made it to the later stages of the competition. Bill left the BBC Breakfast sofa in 2016 and now presents the daytime BBC One quiz ‘Think Tank‘. A weekend presenter on Classic FM, in November 2016 in conjunction with Sony Music, Bill released ‘Bill Turnbull’s Relaxing Classics‘ – 3 CDs of the world’s most beautiful and relaxing classical music, personally curated by Bill himself. He is married with three children. In his spare time he looks after his chickens, and rather more hazardously, four hives of bees. Bill Turnbull is available as an after-dinner speaker, conference facilitator and awards host.